Around 200 Israeli settlers raided Al-Makhrour area southwest of Beit Jala city in the northern parts of Bethlehem Governorate. 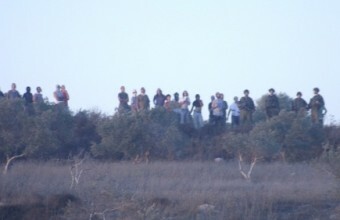 Eyewitnesses and reporters told PNN that around 200 settlers raided the area, while holding Israeli flags and chanting slogans, and started roaming in the area in a provocative way. 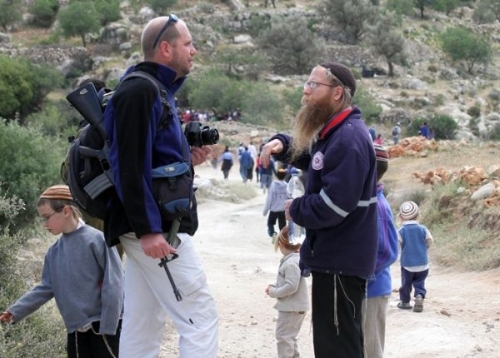 The witnesses also said that settlers vandalized some agricultural lands in the area. It is worth mentioning that the lands of Al-Makhrour are one of the most fertile agriculture lands in Bethlehem Governorate, where residents of the area are deprived by the Israeli Occupation authorities from their legitimate right to build and cultivate on their own lands. Al-Makhrour area is classified as area "C" which according to the Oslo II Agreement of 1995 falls under the full Israeli control, while at the same time, Israel allows for the expansion of illegal Israeli settlements and outposts. Israeli occupation forces demolished three houses in al-Awja village, in the Jericho Governorate in the eastern West Bank. Israeli occupation forces, escorted by a number of bulldozers, raided the village and demolished two houses belonged to the two brothers Sulaiman and Abd Erhaiyel Anjadah and a house belonged to Abdullah Abu Seta, according to Palestinian official news agency WAFA. 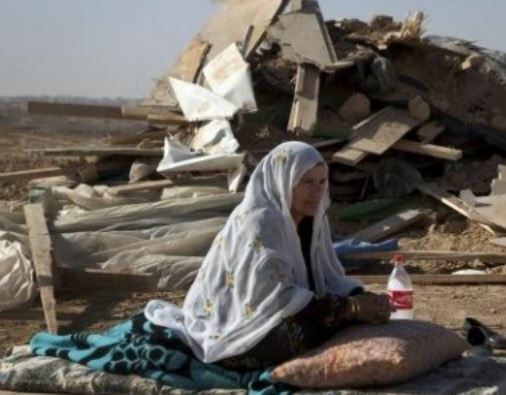 Israeli soldiers invaded, on Wednesday morning, the Al-‘Oja village in Jericho, demolished two Palestinian homes, and handed orders for the demolition of five more homes in the village. Local sources reported that the army invaded the area and demolished the two homes under the pretext that they were built without a construction permit from Israel, as they are located in “Area C” under Israeli control. The sources said that the two homes are located within the village’s limits, and its construction jurisdiction, and added that the home were built more than seven years ago. 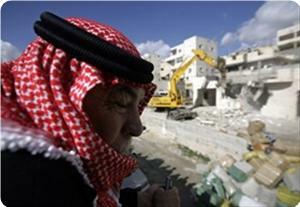 The demolished homes are 80 and 120 square/meters, and are home to nine Palestinians. They belong to Abdul-Hai Najada and Salam Abdul-Hai Najada. The army also handed orders against five more homes in the village, located in Area A and C in the village. Sixty persons live in the five homes. Area A (%3 of the West Bank) is under full Palestinian civil and “security control”, Area B is under Palestinian Civil Control with Joint security control, and Area C is 72% of the West Bank under full Israeli civil and security control. Israel continuously invades the Palestinian territories, regardless of classification and control, conducts home invasions, home and property demolitions, uproots trees, installs roadblocks, and conducts daily arrests. 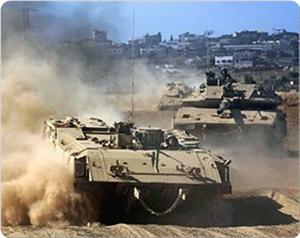 Israeli occupation forces (IOF) in armored vehicles advanced into the northern Gaza Strip on Wednesday morning. Eyewitnesses told the PIC that six military bulldozers advanced 300 meters to the east of Beit Hanun town and leveled cultivated land lots. Israeli reconnaissance planes are meanwhile seen hovering over the coastal enclave since the early morning hours. The IOF semi daily incursions and bulldozing of land are in violation of the calm agreement concluded under Egyptian sponsorship last November. The Israeli occupation authorities (IOA) forced a Jerusalemite citizen to raze his own home in the Old City for lack of construction permit. Azzam Al-Afifi said on Tuesday that he had to destroy what was remaining of his house after an Israeli court threatened it would sue him and impose on him a heavy fine. Afifi said that he razed his home with his own hands to avoid the Israeli demolition that cost him a lot of money. He said that Israeli courts humiliate Jerusalemites by forcing them to tear down their own homes under the threat of trials and fines. 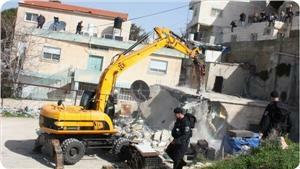 Israeli forces issued demolition orders to 11 homes in a Ramallah village on Monday, homeowners told Ma'an. Military forces raided the village of Deir Nidham, located around 2km south of Nabi Saleh, and issued demolition orders to Ahmad Tamimi, his sons Abdul-Raziq, Hasan and Mahmoud, and their cousins Kafour, Abdul-Hafizh, Salih, Mustafa and Haitham Tamimi. Israeli forces also issued Abdul-Kashif Tamimi with a stop-work order for his house, which is currently under construction. Around 40 people will be made homeless if the demolition orders are carried out. 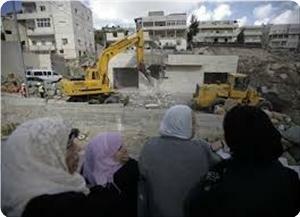 The homes slated for demolition are located opposite the Israeli settlement of Hallamish. 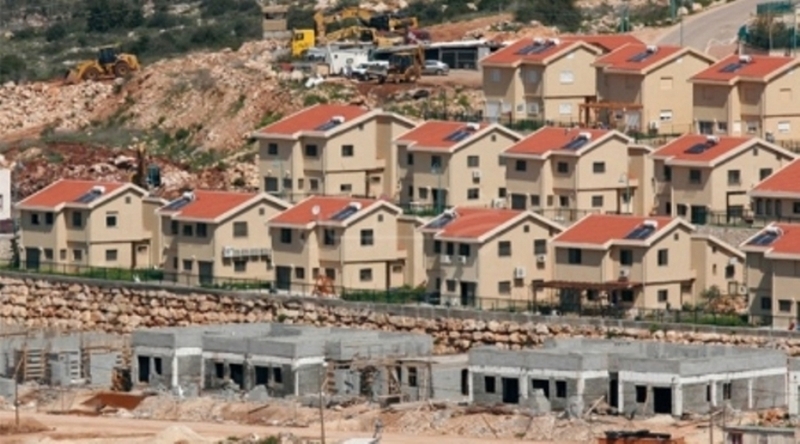 The majority of the homes were built before the illegal settlement was founded, locals said. Israel is planning to expand the settlement at the expense of the indigenous landowners, locals told Ma'an. Village youths threw stones at Israeli soldiers as they entered the village, who responded with tear gas canisters and stun grenades. 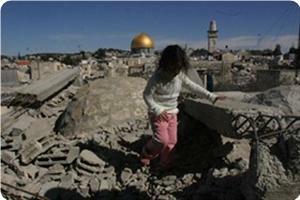 Israel has adopted a policy of mass demolition of Palestinian homes in Area C, Israeli rights group B'Tselem says. According to the group, Israel has destroyed more than 2,200 homes in the past 10 years in the occuped West Bank, leaving more than 13,000 Palestinians homeless. The Knesset Ministerial Committee on Legislation approved a bill Monday on government policies regarding the evacuation of the Bedouin villages in the Negev, most of whom are not recognized by the Israeli government. The "Bill on the Arrangement of Bedouin Settlement in the Negev" is a revision of the Begin Plan, drawn up by former Minster Benny Begin (Likud) and approved on January 27, 2013. The bill was approved based on three key changes from the Begin Plan. First, there is to be a map drawn of the Negev, demarcating which land will be Bedouin and which is considered Israeli-owned. This map will be approved by the ministers. Second, the time allotted for implementation is cut from five to three years, ensuring that the current government will see the project through while still in power. Third, a ministerial committee, headed by MK Uri Ariel will oversee the plan's implementation. The Association for Civil Rights in Israel (ACRI) opposed the bill and said that it will forcibly evict and displace tens of thousands of Bedouin residents who will lose their property and historical rights to their land, inducing mass unemployment and poverty. They added that the plan will restrict Bedouin tribes to a specific area, preventing any Bedouin settlement to be established outside of pre-designated areas, a form of ethnic discrimination which undermines the rule of law. ACRI demonstrated against the bill Monday outside of the PM's office in Jerusalem. Israel Ministerial Committee on Legislation Affairs approved on Monday the “Prawer-Begin Plan” that will lead to the confiscation of more than 800 thousand dunums of Arab land in the Negev and the uprooting and forcible eviction of dozens of villages and 30-40,000 Bedouin residents. The committee approved a map demarcating which land will be Bedouin and which is considered Israeli-owned, and reduced the time allotted for implementation from five to three years, in addition to appointing the MK Uri Ariel to oversee the plan's implementation. The Legal Center for Arab Minority in Israel (Adalah) considered the bill as an Israeli attempt to forcibly evict and displace tens of thousands of Bedouin residents who will lose their property and historical rights to their land. "Coalition members point out that representatives of the Bedouin villages in question have repeatedly attempted to engage the government in a dialogue about the plan, but have been rebuffed," Adalah stated. "The bill is based on the denial of the Arab-Bedouin population’s rights to property and its historical ties to the land, in violation of the basic rights of the residents of the unrecognized villages. 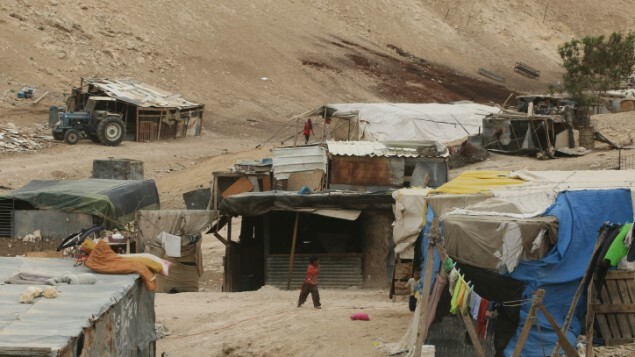 It reflects the fact that the government has failed to undertake a serious examination of alternatives to forcibly displacing the Bedouins in the unrecognized villages, despite the violations of their constitutional rights to property, equality and dignity," the center pointed. Hamas movement affirmed its rejection of the Israeli occupation authority’s policies and oppressive laws especially the so-called Prawer Plan. The movement said in a statement on Tuesday that the plan envisages the confiscation of thousands of dunums and the forced relocation of around 35,000 Palestinians away from their homes in the Negev. “The so-called Prawer Plan is a clear attempt to legitimize the stealing of land and a new violation of the Palestinian human rights,” it said. Hamas said that the IOA insistence on such policies proves anew that resistance is the only means capable of restoring rights and protecting Palestinian land from theft and Judaization. Settlers set fire to 20 dunums of agricultural land in Burin village, south of Nablus. Palestinian official responsible for the settlement file in the northern part of the West Bank, Ghassan Douglas, said that settlers raided Burin village and burned 20 dunums from a land located at the eastern entrance of the village. He also added, the settlers threw stones at Palestinian vehicles at Za'tara checkpoint, south of Nablus, casuing material damages to the cars. 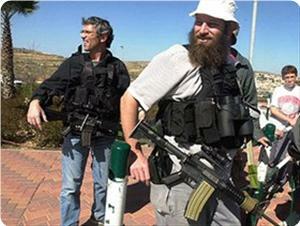 The settlers smashed the windows of two vehicles and detained them after the passengers fled the scene. 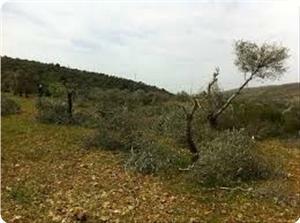 Israeli settlers have damaged on Monday vineyards belonging to Palestinian residents in Beit Ummar north of al-Khalil. 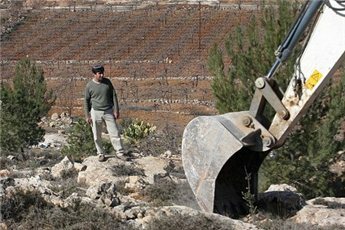 A group of settlers from Karme Tzur settlement to the south of the al-Khalil district town of Beit Ummar sprayed toxic substances on the town’s vineyards. Numerous vines were damaged, local sources confirmed to the PIC. It should be noted that the vineyards of Beit Ummar have been subject to such attacks several times in an attempt to annex the area to Karme Tzur. Meanwhile, the IOF continued to close the iron gate of the Israeli barrier in the industrial area south of al-Khalil for the fourth consecutive day. Local sources confirmed that the Israeli soldier deployed in the area detained Palestinian vehicles for long hours and checked the drivers' identities before allowing them to pass to Yatta town or forcing them to return. The IOF closed the barrier following the killing of an Israeli armed settler south of Nablus 4 days ago. An Israeli court in Jerusalem has decided to allow the Israeli government to demolish part of a mosque, despite appeals from the mosque's imam and several Palestinian members of the Israeli Knesset (Parliament). The Muhammad Al-Fatih Mosque, located in the Ras al-Amoud neighborhood in East Jerusalem, was forced to expand in 2009 due to a massive increase in worshipers after Israeli authorities began preventing Palestinian worshipers from accessing the Al Aqsa mosque in Jerusalem's Old City. The denial of entry for Palestinian worshipers began ten years ago, with the Israeli takeover of East Jerusalem and construction of the Annexation Wall through Palestinian land. Palestinians living on the east side of the Wall have been unable to enter Jerusalem except with special permits which are extremely difficult to obtain. To deal with the influx of worshipers, the Muhammed Al-Fatih mosque applied to the Israeli authorities for a permit to expand. That permit, like virtually every permit filed by Palestinians for construction on existing property, was denied. Facing a weekly overload of its capacity, the mosque's managers decided to complete the expansion anyway. The section in question is designated for female worshipers, who will be unable to participate in weekly services once the demolition is completed. The imam of the mosque, Sheikh Sabri Abu Diab, told reporters with the Ma'an news agency that the mosque was built in 1964, prior to Israel's takeover of Jerusalem in 1967. Because of that, it should not be subject to Israeli authorities. The court's decision, which was issued on Thursday, cannot be appealed. But several Palestinian Members of the Knesset, including Ibrahim Sarsour, Masoud Ghanayim and Talab Abu Arar, said that they will attempt to stop the demolition. 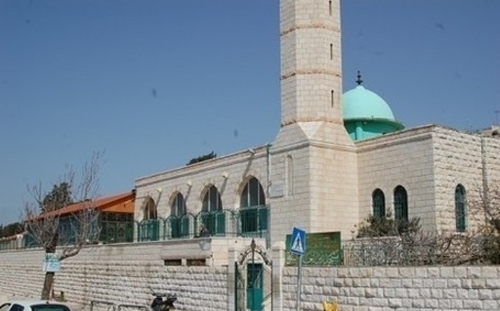 The Israeli municipal court's ruling to demolish the women's prayer area of Ras Al Amoud Mosque in Occupied East Jerusalem is a serious blow to religious freedom in the holy city, leaving the women there with no place to pray, said Shaikh Sabri Abu Diab, Imam. The court ruling was in response to complaints of Israeli settlers in the area who claim that the mosque, especially the women's area, disturbs the Jewish dead in nearby cemeteries during prayer. The court said that the mosque was constructed without a proper building license. 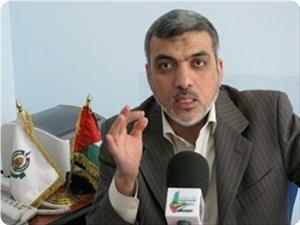 Abu Diab said the residents of Occupied East Jerusalem appealed the court ruling to the Israeli courts to no avail. He added that the ruling removes all hindrance for municipal machinery to demolish the women's prayer area, as well as 80 percent of the entire mosque, which, along with the Jewish cemeteries, is located in an area fully controlled by the Jordanian Ministry of Al-Waqf and Islamic Affairs. "Now, there is no hindrance in the way of the municipal machinery to demolish the prayer area and at least 80 per cent of the mosque will be razed," he said. Residents of East Jerusalem are urging the Jordanian government to intervene in the demolition, following an agreement between President Mahmoud Abbas and King Abdullah last March to protect the holy sites of Occupied East Jerusalem. The mosque was erected in 1964, before the Israeli take-over of the neighborhood in 1967, exempting it from Israeli control, said Abu Diab. The Israeli occupation authorities (IOA) removed an electricity grid and destroyed a water well and other agricultural installations in Beit Ola village in Al-Khalil for their proximity to the separation wall. Mohammed Al-Omla, the chairman of the village’s municipal council, told Quds Press on Monday that Israeli occupation forces razed a water reservoir and tore down electric poles and wires. He said that the IOA had informed the citizens of its intention to demolish those installations a long while ago and then said the demolitions would not take place but they were surprised with the demolition process taking place on Monday morning. Israeli soldiers demolished the electricity network that provides power to Khallet Ad-Deeb and Attous areas that belong to Beit Ola town, west of the southern West Bank city of Hebron. Issa Al-Emla, coordinator of the Popular Committee in Beit Ola, reported that the electricity network used to provide power to the western area of the Hebron district. He added that the soldiers, supported by a number of armored vehicles and a military bulldozer, invaded the area and demolished the electricity network. He further stated that the army also demolished a water well in the area, and withdrew later on. The latest attack is similar to numerous previous attacks that led to the demolishing of homes, structures, and infrastructure, including wells. Israeli authorities demolished a Palestinian home in Arraba town to the north of Palestine occupied in 1948 on Sunday at the pretext it was built without permit. Palestinian sources said that a big number of police forces escorted bulldozers that razed the building, which was under construction, in Wadi Hussein. They said that the demolition took place without prior notice, Noor Lahwani, the son of the house owner, said, adding that his family filed a complaint with the Israeli police as it did not receive any demolition notification from the Israeli organization and construction committee. The sources warned of an Israeli scheme to knock down dozens of Palestinian houses in the same area for lack of construction permits. Ezzat Resheq, a member of Hamas’s political bureau, condemned an Israeli court decision to demolish the women's prayer room in Mohamed Al-Fateh mosque in Ras al-Amud neighborhood, in the town of Silwan in occupied Jerusalem. Resheq considered this decision a flagrant attack on the Islamic Endowments' lands in Jerusalem, and a systematic crime to obliterate the city's historical landmarks. "We refuse this racist decision that violates the international norms and reveals the truth of this usurper entity." The Hamas official called on the Palestinian people and forces to confront these Israeli attempts and protect the Islamic sanctities and landmarks. 16 international human rights and relief organizations signed a petition demanding the world leaders to pressure Israel to stop its demolition of Palestinian homes and its settlement activities. The organizations issued their appeal one week after the Israeli occupation authority (IOA) displaced about 52 Palestinian civilians after knocking down their homes in the area classified as C.
In a statement on Friday, the signatories to the petition noted that Israel had carried out demolitions against 203 Palestinian homes since the start of the current year in area C under its control. They demanded the political leaders of the world to hold Israel accountable for violating the international law through its persistence in settlement expansion activities, demolition of Palestinian homes, and forced displacement of its residents. The organizations that signed the petition included the Norwegian people's aid, action against hunger, the American friends service committee, medical aid for Palestinians, the Norwegian refugee council, the polish humanitarian action and Carter center. The organizations said that Israel's demolition of Palestinian homes and structures has become systematic and rendered hundreds of Palestinians homeless in the West Bank. It stressed that the world leaders should not continue ignoring Israel's displacement of children and elderly people from their homes for the expansion of its illegal settlements in the West Bank. The IOA demolished between 23 and 30 April 36 Palestinian homes and structures including five tents given by the French consulate to victimized families whose homes had been flattened earlier this year. 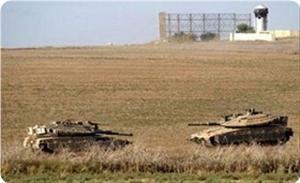 Israeli occupation forces (IOF) advanced 300 meters into the northern Gaza Strip on Thursday morning. The PIC reporter in the area said that IOF soldiers advanced into eastern Beit Hanun and bulldozed land amidst indiscriminate shooting by helicopter gunships. Meanwhile, an Israeli Apache copter opened heavy fire at a deserted land lot to the east of the Agriculture Faculty, north of Beit Hanun. The new incursion and raid are in violation of the calm agreement brokered by Egypt last November. 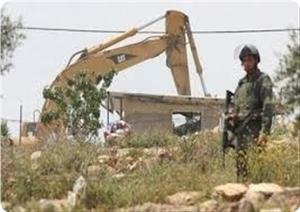 Israeli settlers started to construct a new settlement outpost, south of Nablus in the West Bank. A Palestinian official in charge of the settlement file in the northern part of the West Bank, Ghassan Douglas, said that settlers placed several mobile homes and installed electricity into them, a few meters away from Za'tara military checkpoint. It's worth noting that Za'tara checkpoint was the place where an Israeli armed settler was killed by a Palestinian who was arrested immediately. Douglas also said that the settlers seized the lands and started to build their new outpost in the area. A report published Wednesday by the Civil Defense on fire and other incidents in the West Bank in the last hours said fire fighters had to deal with 57 wild fires caused intentionally by Israeli settlers and which gutted hundreds of trees and agricultural land. It said that most of the fires were started by the settlers, who were avenging the killing of a settler near Nablus on Tuesday. The fires destroyed hundreds of olive and almond trees and a large area of cultivated land and crops. The Civil Defense crews also helped people overcome suffocation from tear gas fired by Israeli soldiers who intervened to prevent the Palestinian residents in the southern Nablus area from resisting the rampant settlers and keep them from burning down their villages. The Israeli occupation forces on Tuesday burned out vast tracts of pastures and rain-fed crops in all villages and hamlets of Wadi Al-Maleh in the Jordan Valley during military exercises. The municipal council of the Bedouin communities of the Jordan valley said the Israeli live-fire military drills wiped out and burned vast tracts of land. It said that the IOF used warplanes, tanks and different armored vehicles during their drills, which have been taking place since Monday evening. The IOF started on Monday to forcibly displace all the Palestinian Bedouin families from their homes in the Jordan Valley before they conducted the exercises. 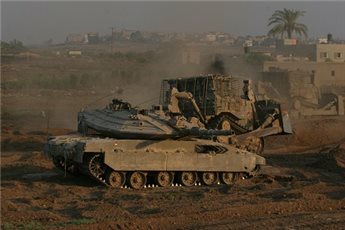 Israeli tanks and bulldozers entered a border area in the southern Gaza Strip on Wednesday, locals said. Witnesses told Ma'an that seven Israeli military vehicles entered 200 meters into a border area near Khan Younis and destroyed agricultural land, including trees. Border incursions are frequently reported by local residents. Tensions are high in the Gaza Strip following an Israeli airstrike on Tuesday which killed Haitham al-Mishal, 25, in Gaza City. A medical official in Gaza said al-Mishal was a security guard at al-Shifa hospital, while Israel reported that he was a "a global Jihad-affiliated terrorist." 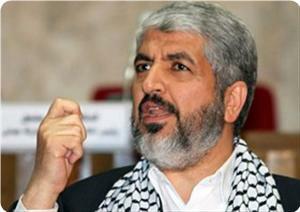 The al-Ansar Brigades says it fired five rockets at Israeli targets on Tuesday in response to the killing. Israeli tanks raided the al-Aqaba village north of Tubas in the occupied West Bank, causing damage to roads and agricultural lands, an official said. Sami Sadeq, head of the local village council, said that a number of tanks raided the village without prior notice and detained 23-year-old Jihad Abdul Karim. He accused the military of ignoring a high court decision banning tanks from entering villages due to the risk of damage. Al-Aqaba is near a military site in Area C, territory in full control of the Israeli army. An Israeli army spokeswoman said she was unaware of any military activity in al-Aqaba but confirmed four other overnight arrests across the West Bank. Israeli Prime Minister Benjamin Netanyahu on Wednesday said the root of the conflict with the Palestinians was not about territory but about their refusal to recognize Israel as the Jewish state. "The root of the conflict is not territorial. 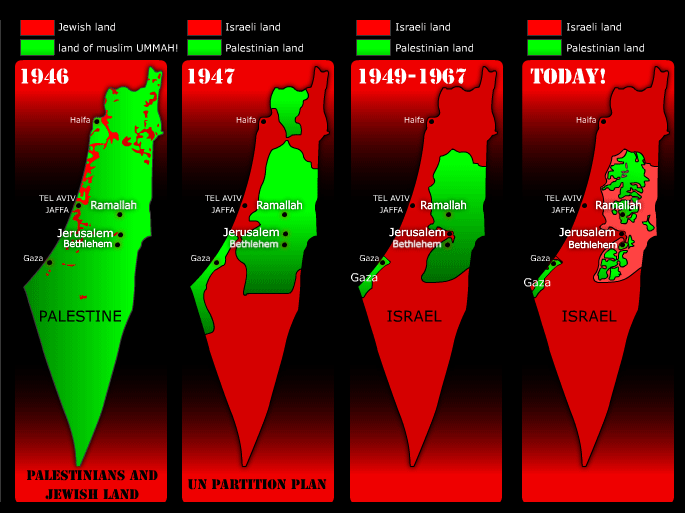 It started a long time before 1967," Netanyahu told top foreign ministry officials. "The Palestinians' lack of will to recognize the state of Israel as the national state of the Jewish people is the root of the conflict," he said. 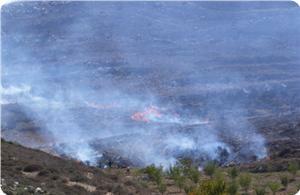 Israeli soldiers Tuesday started fire in farmland near al-Khader, south of Bethlehem, according to witnesses. They told WAFA Israeli soldiers clashed with the residents and fired tear gas canisters in an attempt to disperse them, eventually starting a fire in the nearby farmland. 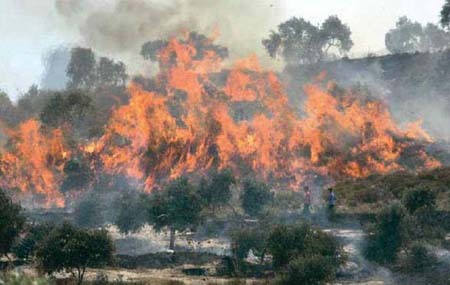 The fire spread in a farmland located near the by-pass road 60, which connects Jerusalem and Hebron. 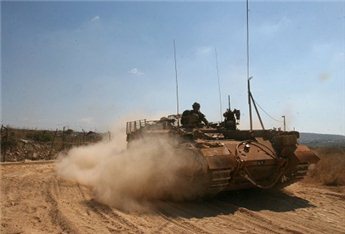 Israeli army exercises scorched fields in the Wadi al-Maleh area of the northern Jordan Valley, the local village council said. The local council of the Bedouin community that was evicted from their lands and tents said the Israeli military was still performing training exercises by Monday evening. The exercises include jet fighters, tanks, and other military vehicles. The council added that people were prevented from reaching and extinguishing fires. Those who live in the area suffered huge losses, council head Aarif Daraghma said. He accused Israel of trying to drive people from the land, and end their presence in the area. 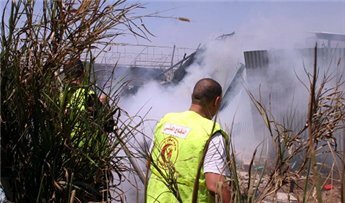 Daraghma added that national and international human rights associations should support the community after the destruction caused by the Israeli army. 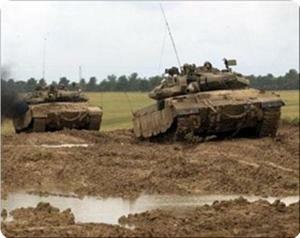 The Israeli army said the exercises were due to "regional changes." 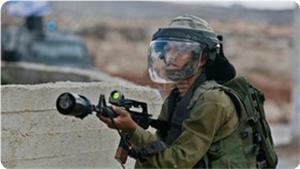 At 10 a.m. on Monday, an army statement said, Israeli forces "commenced a military exercise in northern Israel. This exercise ended today" at 5 p.m., the army said. It added: "Due to regional changes, the IDF constantly reassess force deployment and training schedules. 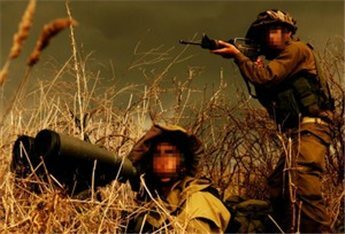 The IDF regularly trains soldiers and commanders in order to provide the capabilities to protect the state of Israel and its residents. This exercise was planned in advance as part of the IDF's 2013 training schedule." Israeli Occupation Forces (IOF) continued its Judaization process in the occupied city of Jerusalem where they demolished on Tuesday morning a house in Ras area south of al-Aqsa mosque belonging to the lawyer Tawfiq Abu Sninah. Sources told PIC that the demolition process affected a large Balcony and other facilities in the home. The occupation forces surrounded the area in large number and prevented the citizens from approaching the Israeli bulldozers, the sources added. The occupation forces had demolished on Thursday four other homes in Tur area under the pretext of being built without permit. Latin Patriarch Fouad Twal denounced Tuesday in a statement an Israeli ruling that allows the construction of a section of the West Bank segregation wall on land belonging to the convent of the Salesian Sisters in the Bethlehem area. Twal, in his capacity as president of the Assembly of Catholic Ordinaries of the Holy Land, called on Israel to change the course of the wall to follow the route of the “green line,” the 1948 armistice line between Israel and the West Bank. An Israeli committee ruled last week to allow the construction of the segregation wall in the Cremisan Valley of Beit Jala that would separate the convent of the Salesian Sisters and its school from their land and at the same time incorporates the lands of 58 Palestinian families from Beit Jala to the area of the Israeli settlement of Gilo. “We are frustrated by this unjust decision that invokes the need for security of Israel but also the difficulty of changing the route of the already built portion of the wall, which makes us a fait accompli,” said the statement. Israeli forces on Monday demolished a water well and utility room in the Fawwar refugee camp in Hebron, a local UN official said. Deputy director of the camp's UNRWA office Ahmad Abu Fadda said Israeli forces declared the area a closed military zone. Fadda added that several notices said building in the area was prohibited because it is a closed military zone. The Fawwar refugee camp is located in Area C, over which Israel has exclusive security, planning and zoning control. According to the UN, over 60 percent of the West Bank is considered Area C.
In 2012, 540 Palestinian-owned structures in Area C, including 165 residential structures, were demolished due to lack of Israeli-issued permits, displacing 815 people, over half of them children, UN statistics reveal. Over 70 percent of communities located entirely or mostly in Area C are not connected to the water network and rely on tankered water at vastly increased cost; water consumption in some of these communities is as low as 20 liters per capita per day, one-fifth of the WHO’s recommendation. 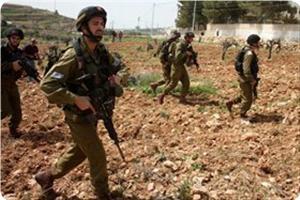 Israeli occupation forces (IOF) advanced to the east of Breij refugee camp in central Gaza Strip on Tuesday morning. A field observer said that eight military bulldozers advanced 200 meters near Juhr Al-Deek village to the north of Breij refugee camp and bulldozed cultivated land before retreating to base. 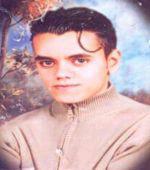 The incursion coincided with an Israeli aerial raid that killed a Palestinian man to the north of Gaza city. Five Palestinians were killed and dozens wounded, 40 fishermen were detained or wounded, and many fishing boats were destroyed or confiscated in Israeli violations of the calm agreement since it was signed last November. Israeli occupation forces (IOF) advanced few hundred yards into Shujaia suburb to the far east of Gaza city on Monday morning. Reliable sources said that IOF soldiers in an armored vehicle escorted three military bulldozers that started leveling Palestinian farm land. They said that the soldiers withdrew from the area after a relatively short period of time without shooting or casualties among citizens being reported. The Israeli occupation authorities (IOA) continued its demolition spree and razed two Palestinian houses to the east of occupied Jerusalem on Monday. Local sources said that Israeli special forces and horse-mounting troops encircled Khilat Al-Ain in Tur suburb and razed the two homes owned by Ghaith family at the usual pretext of lack of construction permit. They said that the invading forces blocked citizens and journalists from approaching the suburb then forced the family members out of both houses before knocking them down. The sources said that the first 160-square-meter house is owned by Rushdi Ghaith and provides shelter for 13 individuals including two cancer patients. They said that the second 80-square-meter house is owned by Mufida Ghaith and is inhabited by 11 persons including five children. Israeli occupation forces (IOF) sent their huge bulldozers on the rampage in southern Al-Khalil on Monday destroying agricultural installations owned by Palestinian farmers. Eyewitnesses told the PIC that IOF bulldozers forced their way into the outskirts of Arroub refugee camp and destroyed a water well, utilities room, and other agricultural installations. They said that IOF soldiers prevented farmers from approaching the targeted site on the main road between the camp and Majnoone area. The sources noted that IOF soldiers were deployed on the main entrance to the camp and at the entrance to the nearby Doura town to secure the demolition streak that was made at the pretext that the area was a military zone where no construction or work is allowed. European Union missions in Jerusalem and Ramallah expressed serious concerns on Friday about the demolitions on 23 and 24 April of 22 installations in 8 locations across the West Bank including East Jerusalem. The destruction displaced 28 people, including 18 children, and affected 120 other people including 57 children, a statement from EU missions in Ramallah and Jerusalem said. Some of these installations were funded by EU member states, it said. “These and other recent demolitions appear to put an end to a period in which a welcome reduction in demolitions had been noted,” the EU said. It added that since the year 2008 more than 2,400 Palestinian houses and installations have been demolished in Area C (under full Israeli control) of West Bank and east Jerusalem, displacing more than 4,400 people. The statement said that on May 14, 2012 they had called on Israel to meet its obligations regarding the living conditions of the Palestinian population in Area C, including halting forced transfers of people and demolition of Palestinian houses and infrastructure.